The Topshop trench I mentioned in this wishlist post sold out online before I could buy it, so I've checked the 'find in store' section of the website pretty much every day since, desperately hoping that one would magically appear in my size in a store near me. And, against all odds, this actually happened last night. So, I wore this in today to go and collect my baby (if it's wrong to call it that I don't want to be right). Yes, I wore a new trench to pick up another new trench, it's perfectly logical if you think about it. I've always been a bit infatuated with matching collars and cuffs (not a euhemism, simmer down) but they seem to be quite rare to come by, so for that reason alone this trench is an absolute winner in my eyes. Plus it's nice and light for when the weather starts to get warmer which - to give it it's due - was actually quite mild and sunny today. 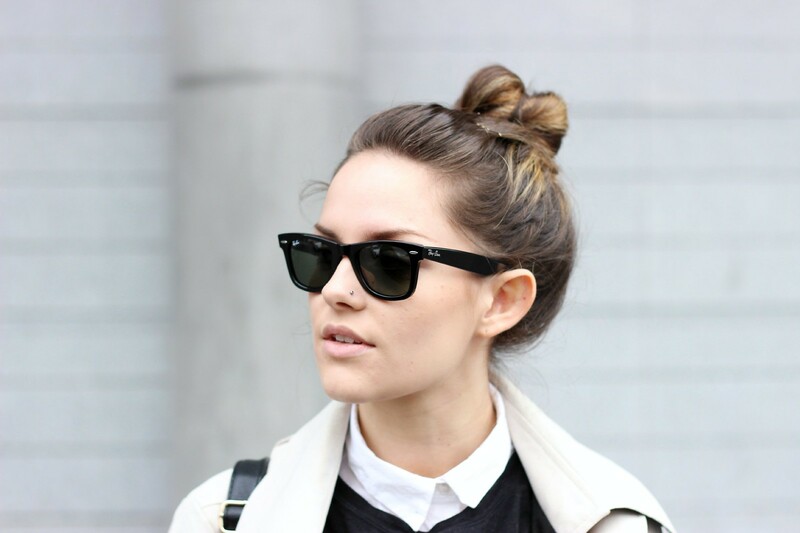 I whapped out my good old RayBans from Sunglasses Shop and took them for a whirl as well.. Amy 1, Sun 0.
looking absolute tip tip spiffing here Amy gurrrl, but when don't you ey!?! Wow that trench coat is gorgeous! Really nice trench! I've always loved the classic beige trench coat but have never managed to find one that suits me! You beauty. There's literally not a single outfit of yours I dislike, wardrobe envy x 1000!!! Love this outfit! You look stunning and the trench is wonderful. Also, wearing a trench to buy a trench is definitely logical! Win 2 pieces of jewelry of your choice! Enter the giveaway! Love the trench. This is a stunning look! Love this! That trench is beautiful, I have a thing for matching collars and cuffs too, there's something very aesthetically pleasing about them! 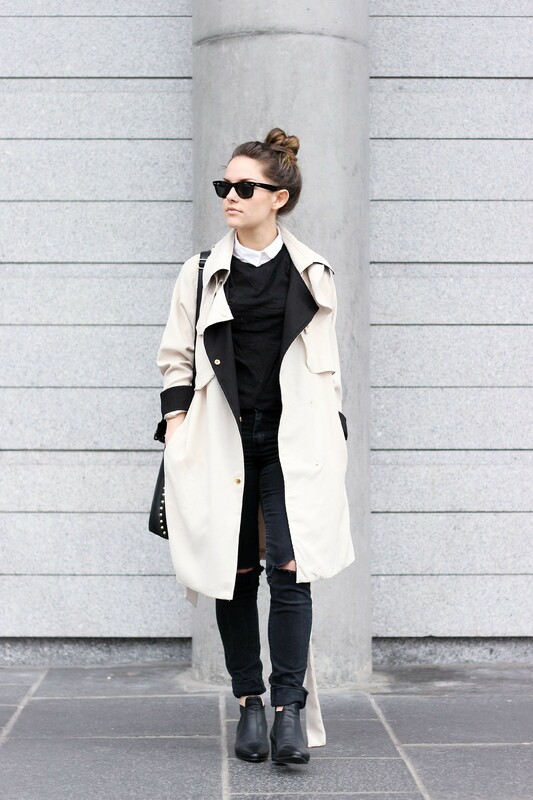 This trench is gorgeous, you've styled it amazingly well. It looks so average on the website but you've brought it to life! Great post! That trench is glorious! 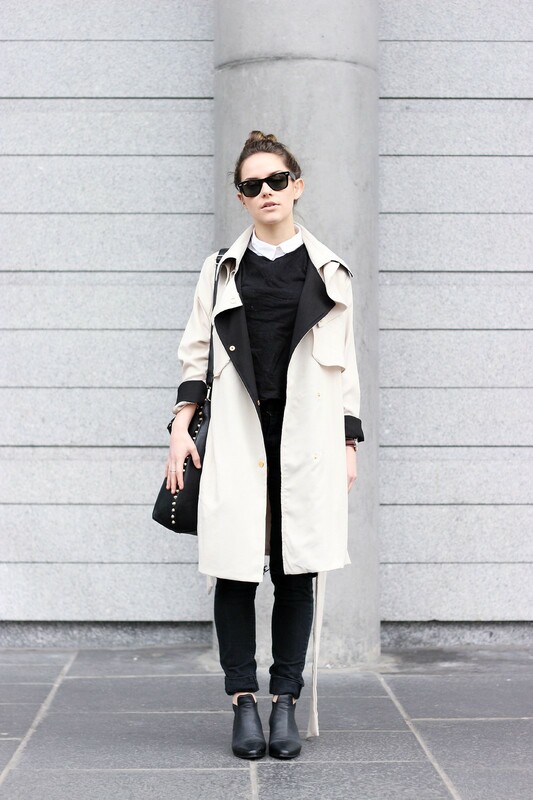 Cannot wait to see how you will style the Topshop trench! that trench is so pretty! finding a nice tailored one is always worth the wait. That trench is everything!! Love your entire outfit!! Hoping to god I suit ray bans when I try them on next time I'm in Selfridges, I might actually feel trendy for once in my life if I have a pair. That trench looks amazing on you!